Surprise Dad with some special cupcakes. You can find the chocolate football, baseballs, basketballs or soccer balls at most candy stores. You can use the grass tip and flower sprinkles. If you want the dirt look, ice with chocolate icing and sprinkle on crushed Nilla wafers to make it look like dirt. Happy Father’s Day! 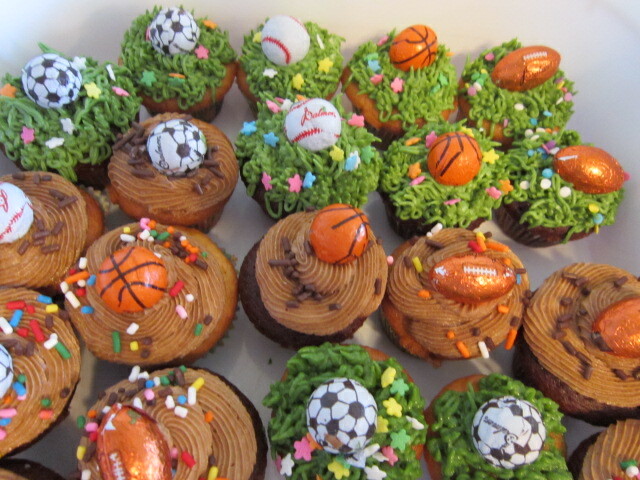 This entry was posted in Cupcakes & Gifts to Make, Father's Day and tagged Father's Day, sport cupcakes. Bookmark the permalink.